Sell your digital goods through online with our Electronics store script by simple steps. Ready to occupy a place to sell online, in the trend trillion of business that manages through online industry such as for music, games, game software, movies, and audio books etc. Ready start your own ecommerce website today? Get started with our Selling and buying marketplace script, the revenue models include banner advertisements, Google AdSense etc. We have integrated secured PayPal as the default payment gateway as well as you can change to preferred payment gateway with customization option. Through enhanced admin panel one will control all functions of the script such as product categories, number of orders, and download, license as well. In settings option, you will manage general configuration your site name, website analytics code, HTML elements etc. Start your own electronics goods listing script with simple steps by our high-class security script which meets online marketplace for professional business. No programming skills required to manage the script, we have simply modified with user-friendly structure. Mobile responsive design, SEO-friendly structures our advance SEO- friendly coding style in accordance with Google standards. It is golden opportunity to start your individual Digital Store Script that cherishes with minimum cost. 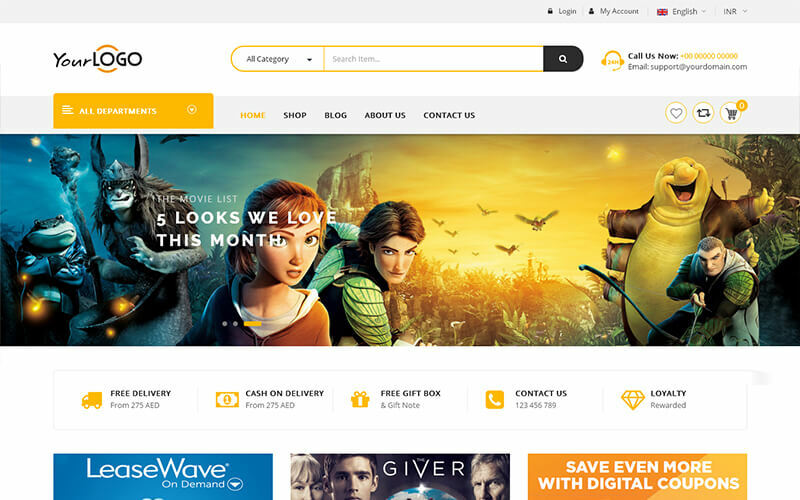 One of the most attractive online services is digital products selling eBooks and other digital products such as software, game, and movies that meets every user in the world. Selling digital products made pretty guileless of music video games software. Unique features with secured reliable made this Digital Marketplace Script in an extraordinary solution for digital shop owners to build a professional business in online. This script has high download speed for the digital products, kindly go with this to achieve fruitful business. Perfect job Michael!!! Given specular response with my project with limitless days.